Technical solutions from the Hixon Group are helping a catering solutions firm to constantly update performance at its venues. 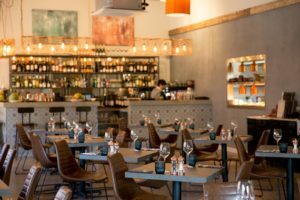 The Stoke-based Hixon Group recently completed a state-of-the-art IT installation for the new Totally Delicious restaurant at Trentham Gardens. Hixon has developed a suite of IT solutions – ranging from data cabling to customer wifi, up-to-the-minute computerised till data, CCTV and a 24/7 maintenance contract. The one-stop IT solution allows Totally Delicious to constantly improve service levels at the recently launched Trentham Shopping Village restaurant – as well as at its workplace canteens and tea rooms across North Staffordshire.